Villa Cendrawasih’s manager will have a wealth of information about nearby places of interest and will help arrange transport and make any bookings required. Do also ask the staff about the local area. Many of them live nearby and will be able to give an interesting insight into some of the fascinating aspects of Bali life. You could eat out at a different restaurant in Seminyak every night - for months - and still not run out of options. 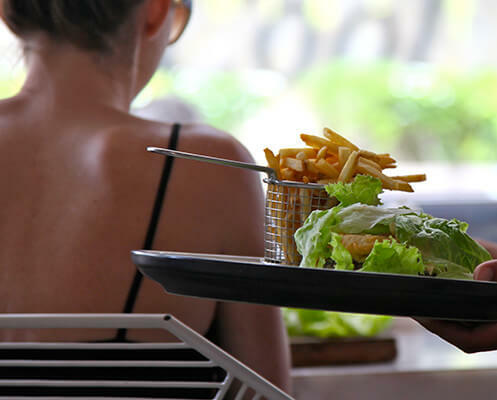 Jalan Laksmana (also known as Jalan Oberoi and Jalan Kayu Aya) is Bali’s fashionable ‘Eat Street’, offering plenty of high-end restaurants including Sarong and Teatro Gastroteque. La Lucciola Restaurant is great for sunset drinks, as is The Woo Bar at W. While Ku Dé Ta is still the place to see and be seen, two newer beachclubs, Cocoon and Potato Head, are classy seaside alternatives. Then there's La Plancha, a rustic beach bar between Double Six and Gado Gado, which is very popular with good tapas, reasonably priced drinks, live music and DJ events. A short taxi ride will bring you to Sardine for elegant seafood, Métis for French Mediterranean cuisine, or to Hog Wild in Bali, famous for barbecue ribs and wicked Martinis. Fashionistas, trendies and shop-a-holics should hot-foot it down to Seminyak, Bali’s most cosmopolitan enclave. 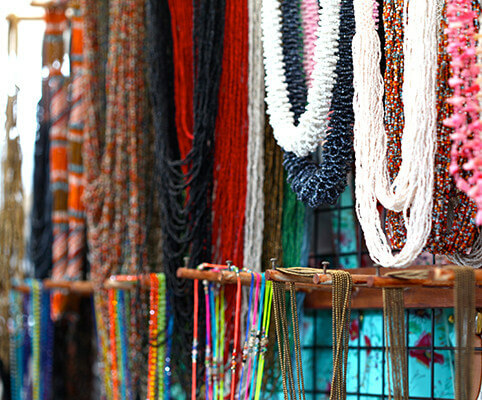 Here, you can indulge for hours in the glut of stylish, chic boutiques selling designer ware and handcrafted jewellery. Exotic homewares are also a Balinese specialty, from gorgeous hand-crafted ceramics, to embroidered furnishings and all manner of ethnic curios and decorative pieces. A nice sunset alternative is to head down to Echo Beach (8km) where a number of cafes offer good sunset views and cold beer, including the famous nightly barbecue at Echo Beach House. Hotel Tugu, a very stylish and eclectic boutique hotel a few minutes further down the coast was created by one of Indonesia’s premier art collectors, and provides a range of atmospheric dining experiences. Next door to Tugu is the charming Kaki Lima restaurant, a lovely sunset spot with sweeping lawns making it a great place for kids to play. Or try the more casual cafe across the road; Old Man’s for alfresco all day dining. Acclaimed as the world’s best, the atmospheric Elephant Safari Park in Taro (north of Ubud) provides a sanctuary for elephants rescued from Sumatra, with opportunities for trekking, hand feeding and photo taking. There is also a fascinating museum and an excellent restaurant in a beautiful tropical setting deep in the forests of Bali’s hinterland. Explore the scenic rice-field landscape and rural villages by bicycle; a great way to get under the skin of the 'real' Bali. Stop off at a local warung (café) to sample some basic Balinese fare or cool off with a cold drink. A number of operators, including Bali Adventure tours offer ‘downhill cycling’ tours starting from the cool climes of Bali’s mountainous hinterland. Desa Seni at Berawa Beach is an eco-friendly village resort providing an authentic Indonesian experience through the exploration of culture, art and yoga. The resort offers a wide variety of yoga classes and also has its own holistic spa and restaurant serving gourmet organic food, most of which is grown in the resorts extensive gardens.